LAS VEGAS – Top Rank president Todd duBoef was quietly seething on Saturday as Omar Narvaez seemed to try to just finish, and not win, in his bantamweight title fight in New York with Nonito Donaire. 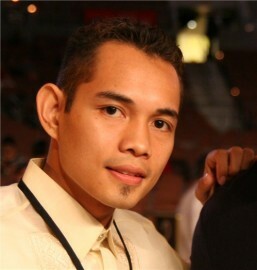 The result of duBoef’s anger will result in Donaire’s next bout becoming a true prizefight. He said he’s going to put a $100,000 winner-take-all bonus on the line for Donaire’s next bout as a way to encourage the fighters to compete. The money will be in addition to the fighters’ contracted purses. The normally stoic duBoef was enraged when Narvaez fought in a turtle position with his hands high in front of his face and rarely threw punches during their HBO-televised bout at The Theater at Madison Square Garden. Narvaez lost every round, but when the bout ended, he raced to the corner and jumped on the ropes in celebration, overjoyed that he had made it the full 12 rounds with Donaire, the World Boxing Council/World Boxing Organization champion. That enraged duBoef, who said Narvaez’s reluctance to fight spoiled what should have been a great night. By the middle of the fight, the crowd had become surly and began to chant, loudly enough to be picked up by HBO’s microphones, “This is expletive.” The normally even-tempered duBoef became visibly angry. “There was a great crowd in there and the people were really excited, and there was a very real sense that the place was about to explode,” duBoef said. “And then Narvaez went out there not even trying to win and it deflated the whole place. It killed the atmosphere. DuBoef said he’s still not certain of the details of how he’s going to make the payout, meaning whether he’ll give it for a knockout or simply to win, but he said he’s leaning toward making it simply a win bonus. It is part of how he sees his job now, duBoef said. The Top Rank president said he views himself as a boxing evangelist, and has been traveling the country meeting with the executives of major media companies, as well as sponsors, singing the praises of his sport. He said there are a lot of misperceptions about the health of boxing that he is trying to dispel. One of the things he is trying to do is to prevent promoters from dumping on each other’s shows publicly. It is very common in boxing for promoters, managers and others on the inside of the business to call reporters with bad news about other promoters’ shows. When Golden Boy’s Oct. 15 pay-per-view card at Staples Center in Los Angeles was struggling to sell tickets, the phone lines were burning as Golden Boy competitors were eagerly reaching out to reporters to gleefully pass along the bad news. That’s the kind of thing duBoef wants to stop. He sent out a directive Tuesday to his staff to prevent it from engaging in such behavior. He said there are a lot of good things happening in the sport and he wants to focus on that. Along with that, he said he wants to put on fights that his customers want to see, and he said he wants to do everything he can to ensure the fights are as good as possible. “We can do a lot of things to build a fight, but once the bell rings, it’s out of our hands,” duBoef said. “I was just so angry about what happened in the Donaire fight on Saturday, that I thought about what I could do to change that, or to do my best to prevent it from happening. DuBoef said he is not certain when Donaire will fight next. HBO Sports is in transition, having hired Ken Hershman as it next president. Hershman doesn’t begin at HBO until Jan. 9, and duBoef wants to get to work on arranging Donaire’s next fight before then. He said he is considering building a February pay-per-view around Donaire as a way to keep Donaire active while Hershman gets acclimated to his new job.